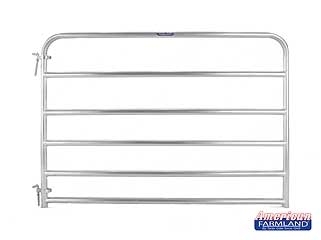 Tarter's Economy Galvanized Tube Gate has the quality, features and durable value youve come to expect from Tarter. 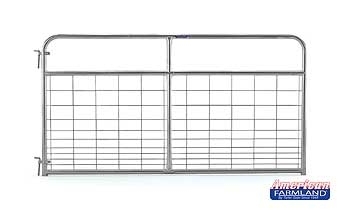 This gate is perfect for placement at construction sites, for crowd control, or for fencing pastures, orchards, and gardens. 50 high with vertical Z-braces, this gate is made from 1-3/4 round high-tensile strength galvanized tubing with superior continuous-welded saddle joints. Gates come with hinges, hinge pins and 22 snap chain. 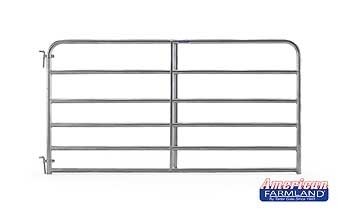 Our 6 Bar Heavy Duty 2 inch, 16 gauge Galvanized Bull Gate is our toughest gate and is designed for feed lots, large herd containment and crowding situations. 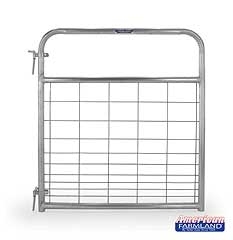 Our 6 Bar Heavy-Duty 2 inch, 16 gauge Galvanized Bull Gate is our toughest gate and is designed for feedlots, large herd containment and crowding situations. 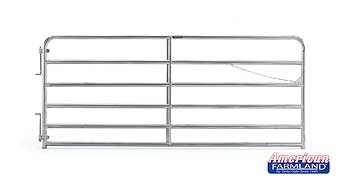 Our Galvanized Wire-filled Tube Gate is ideal for confinement of hogs, sheep or any small animal. It is also recommended for use as an entry gate. 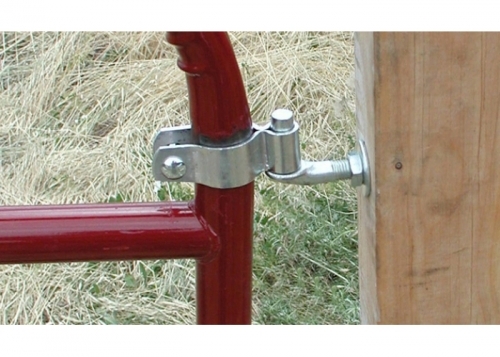 Gate Hinge designed for round tube gates with 2 0.D. 3/4 diameter x 12 long bolts. Kit includes upper and lower hinges and mounting hardware. Gate Hinge designed for round tube gates with 1-5/8 to 1-3/4 0.D. 5/8 diameter x 6 long bolts. Kit includes upper and lower hinges and mounting hardware. 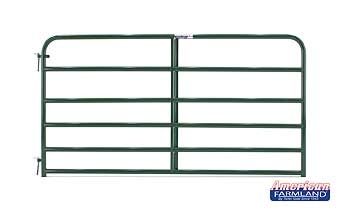 Tarter's Economy Tube Gate is perfect between pastures and entries. It comes in 19 gauge 11 3/4 in. 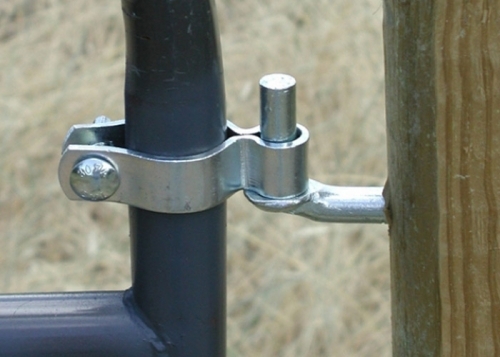 rounded high tensile strength steel tubing with superior continuous welded saddle joints. It is 50 in. high with vertical Z braces, baked on high solids paint to ensure longer life in the field. 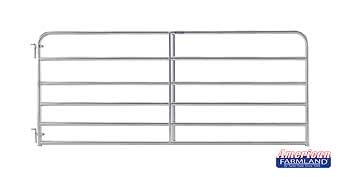 All gates come with hinges, screw hooks and 18 in. chain latch. 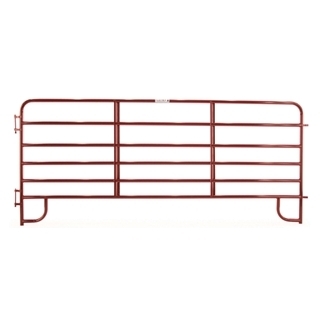 Our extra heavy-duty gate is designed for feedlots, large herd containment and crowding situations. 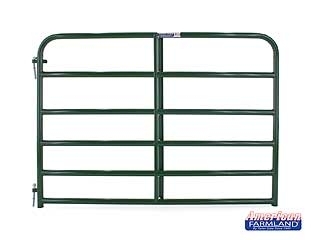 Our extra heavy-duty 2 inch, 16 gauge gates have the quality, features and strength you have come to expect from the Tarter Gate Company. The Tarter 6-Bar Economy Corral Panel is lightweight yet strong. 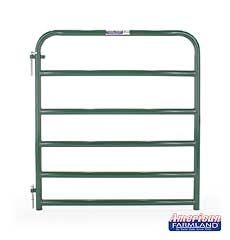 This panel is ideal for light confinement and is portable for travel to overnight shows or trail rides. 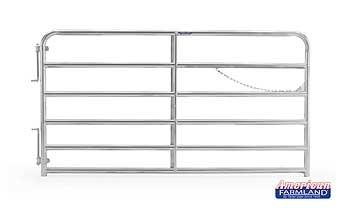 The 60-inch high panel features 1 3/4 inch rounded high tensile steel tubing with continuous welded saddle joints, and the quick pin-latch system makes for easy hook-up.